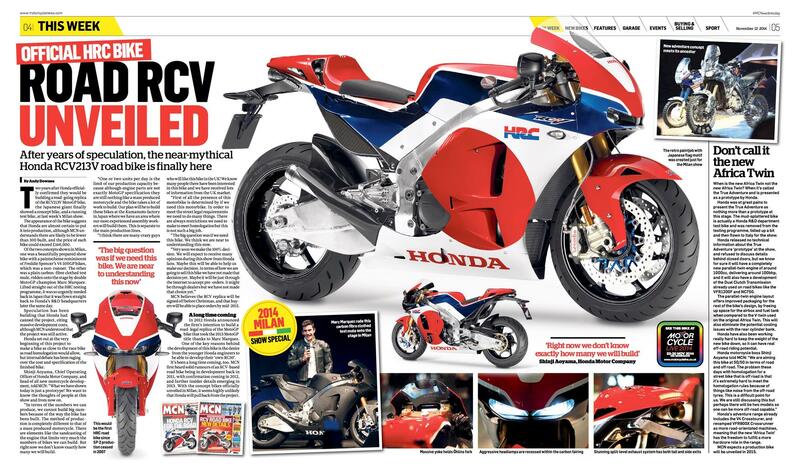 Honda is officially launching the road-legal RC213V-S later this week at the Catalunya MotoGP race but this is a story that’s a ten-year build-up with MCN at the forefront of bringing the latest news along the way. The finished bike will be shown to the world the day before the start of the Catalunya MotoGP round in Spain and many of the top motorcycle racing and engineering bosses will be on hand to explain all about the bike that was first officially shown at the Milan motorcycle show in November 2014. At the time of the Milan show reveal Honda bosses were at great pains to explain the bike was merely a ‘prototype’ and that no decision to build the bike has been 100% made. 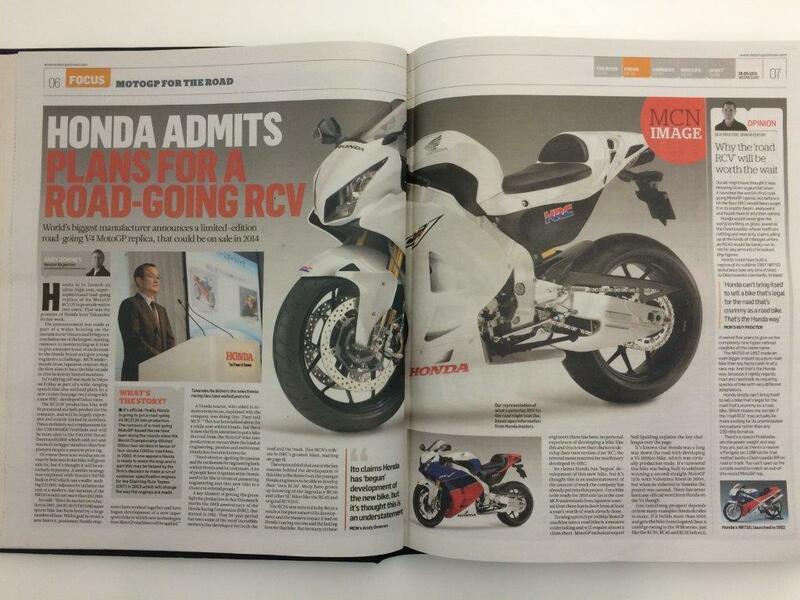 MCN sources were adamant this was a smokescreen and the bike would be made for sure. The fact the bike looked finished, that reigning MotoGP champion Marc Marquez rode a fully working test bike onto the stage and all of the top Honda bosses were on hand to launch the bike helped add further weight to that. Honda set out at the very beginning of this project to make a bike as close to the racing bike – yet road legal – as legislation would allow. Ducati was the first manufacturer in the modern era to make a road-legal MotoGP replica that bike saw some significant changes to the overall design in order to productionise the bike. For every part that came off the MotoGP bike there were hundreds of newly, bespoke designed parts. This was the only way the bike was able to be a viable road bike. Honda may not be the first to do a MotoGP replica but it would appear they are going to be able to make this the most close replica of a MotoGP bike ever seen. 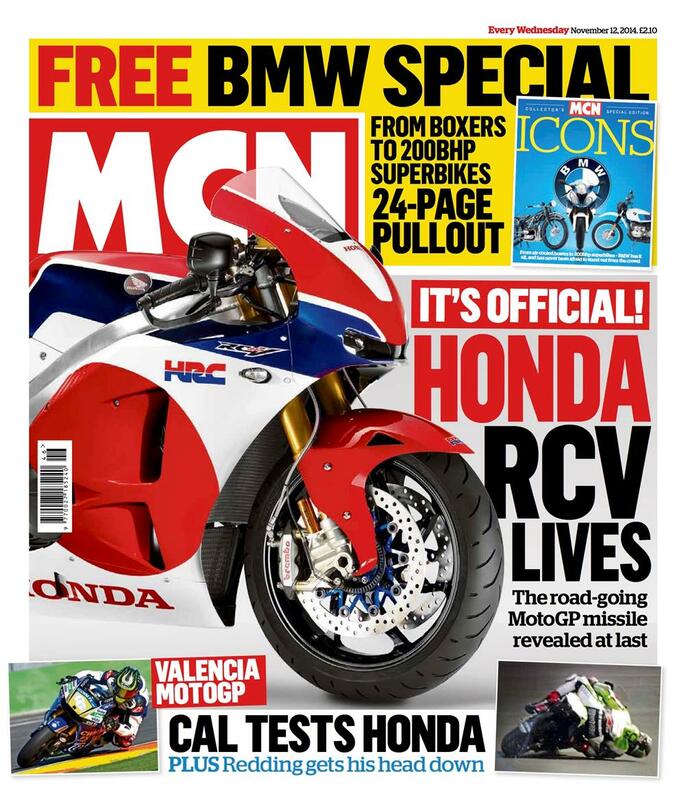 MCN has consistently lead the breaking of news of a road-legal RCV since 2004 when rumours first emerged of Honda’s intention to build a 1000cc V5 version of the bike Valentino Rossi was racing at the time. 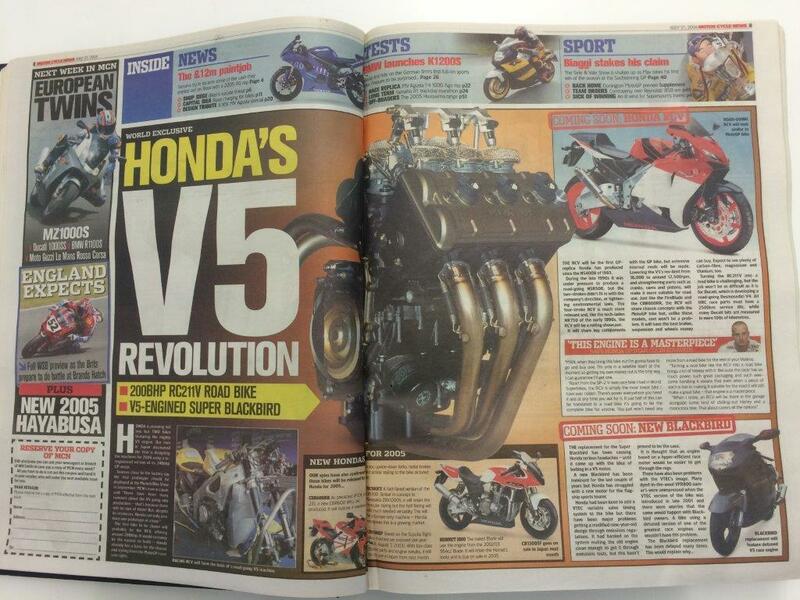 Honda insiders revealed at the time that not only was a V5 bike designed and built but it was virtually production ready before a decision was made to scrap the entire project. Honda sources suggest it was the loss of Valentino Rossi to Yamaha in MotoGP that signalled the end of the whole project but that has never been officially confirmed. 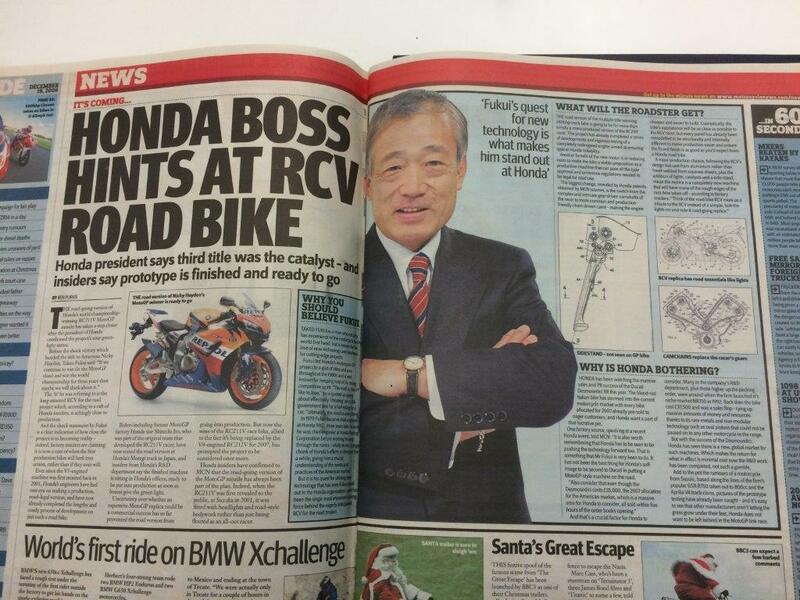 It took another three years for the Honda President Takeo Fukui to even hint at the possibility of a road-going version of the RCV but another six years for official word from Honda that a V4 RC213V for the road was happening when then CEO Takanobu Ito made the announcement at a Tokyo press conference. At the time it was promised the bike would be on sale within two years but the RC213V-S project has been beset by delays thought to have been caused by internal wrangling over the viability of the bike, costs and the availability of research and design resources. It was 2012 when Honda first made the official announcement of the intention to build a MotoGP replica for the road but it was another two years before a real bike with indicators, lights, a road-legal exhaust and tyres and a numberplate mount appeared at the Milan motorcycle show. 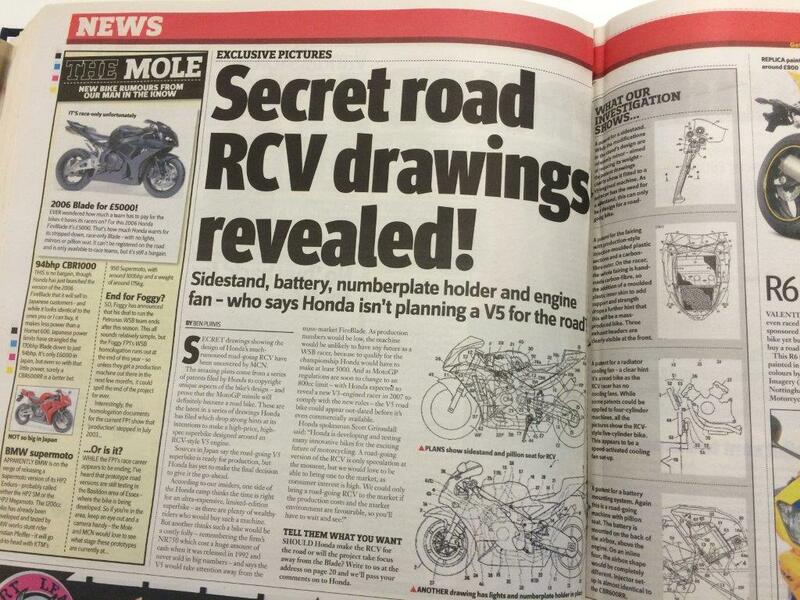 Former Honda boss Takanobu Ito made no secret of the fact Honda had already ‘begun’ work on the bike when he first publicly announced the project at the Tokyo show in 2012. 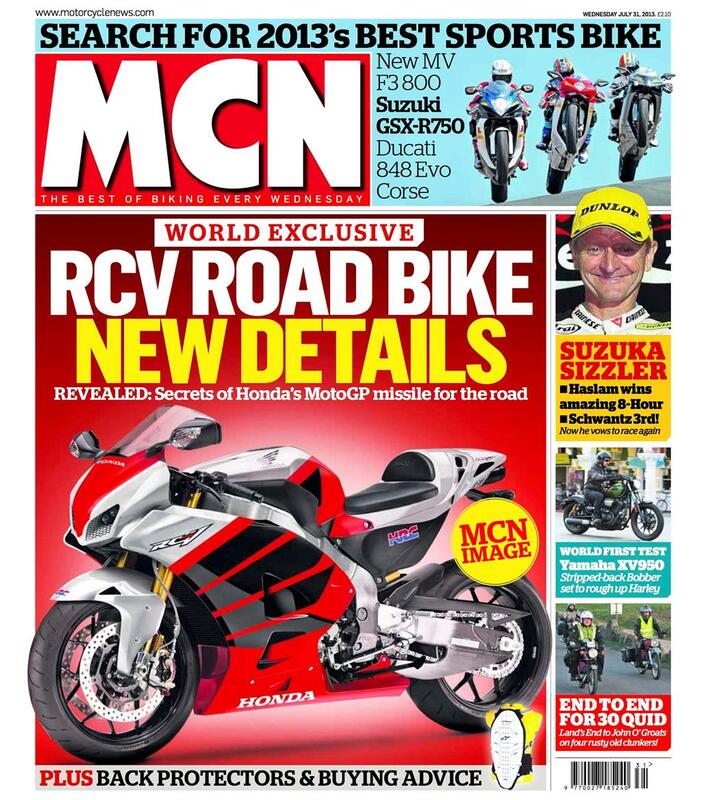 At the time MCN said this was almost certainly a huge understatement due to the amount of work involved in turning a 260bhp V4 RC213V racing bike into a fully-homologated road bike. Fast-forward another two years and the ‘prototype’ RC213V-S was shown in Milan and it was on stage alongside the True Adventure concept bike which previewed the forthcoming CRF1000 Africa Twin but only now is Honda prepared to officially launch the bike to the world. The price is still being kept a secret but MCN understands it will be close to £150,000. 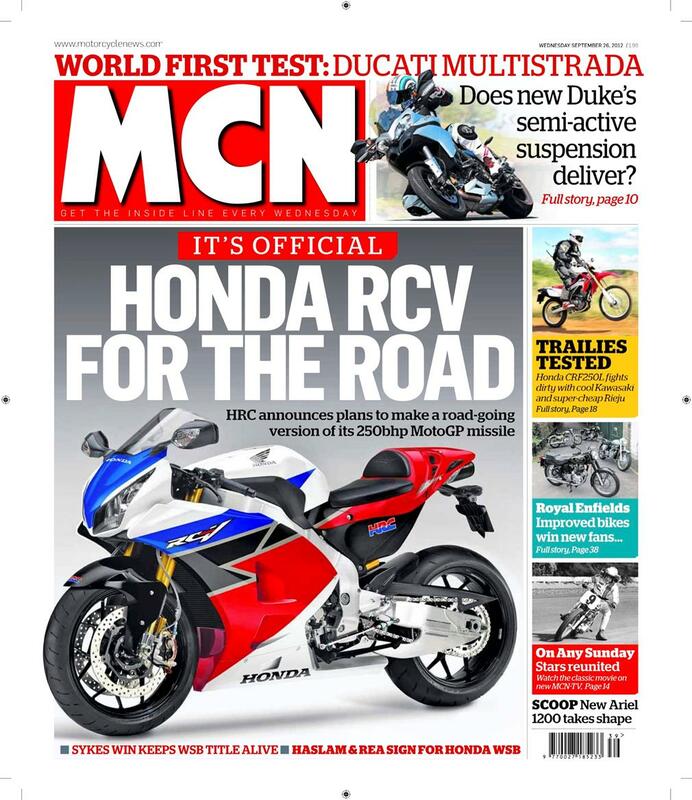 MCN will be bringing all of the in-depth news from the launch of the RC213V-S next week online so keep checking back for more information and updates. 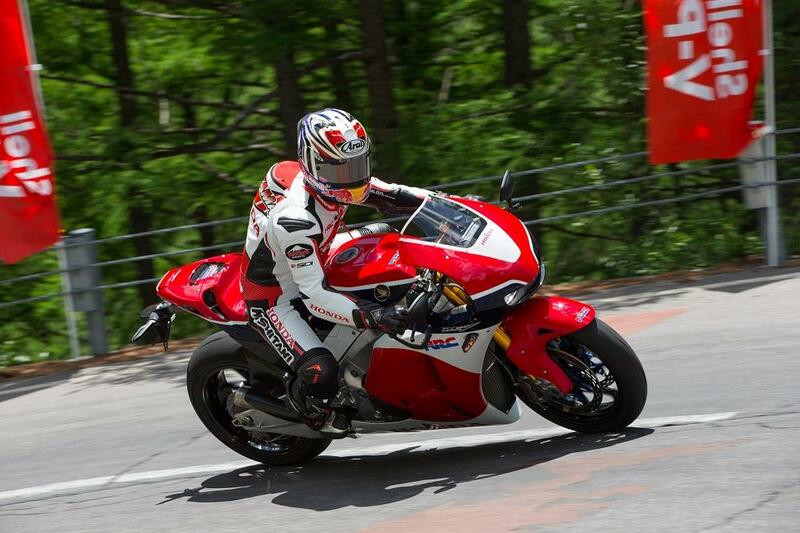 Honda's RC213V-S made a public debut at a little-known Japanese hillclimb event last week. 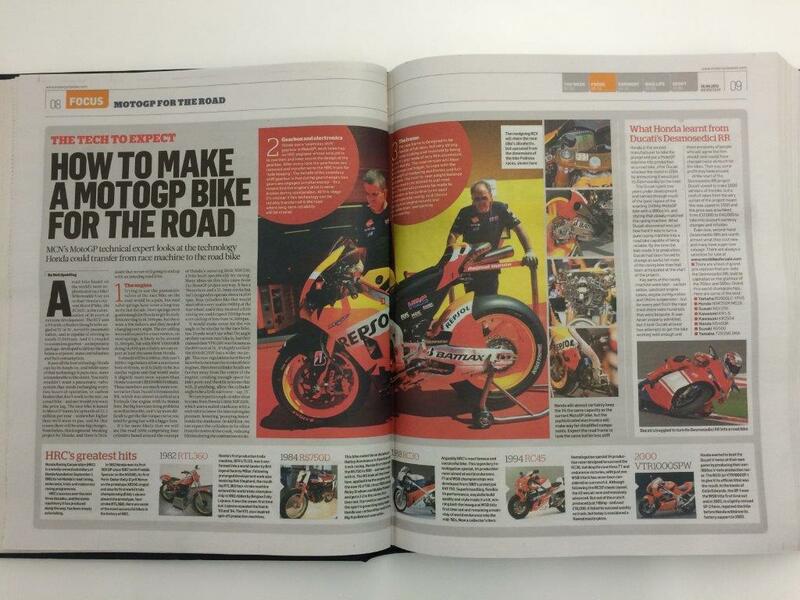 Read the story here and full details are in this week's MCN out on Wednesday June 10.